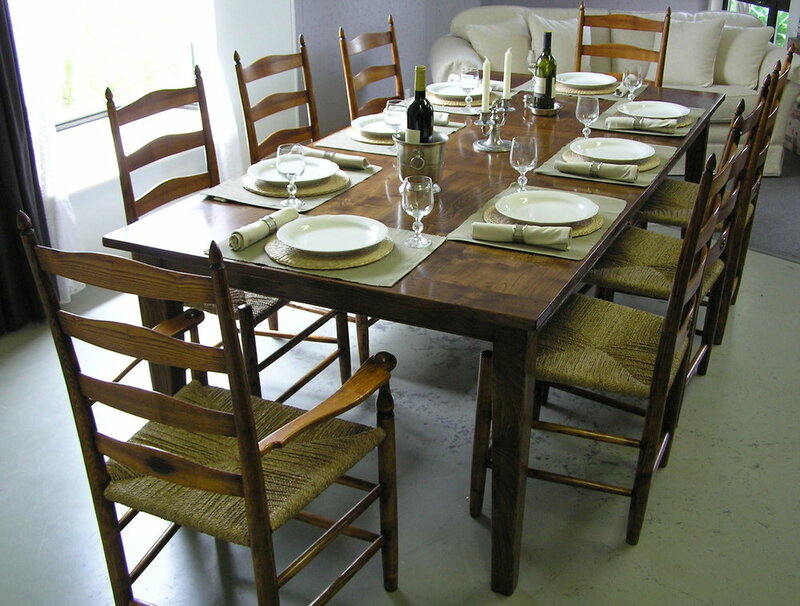 This solid Chestnut extension dining table has a removable leaf which can be stored under the table when not in use. The top has a plank look with cleated ends and pegged joints. The base has tapered legs and scratch line detail to the rails. Finished with an oil and wax finish.